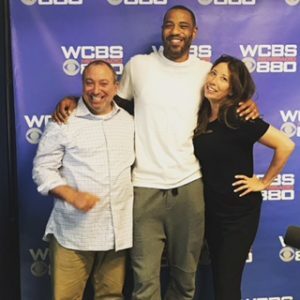 Kenyon Martin, retired NBA All-Star and captain of Team Trilogy in The Big 3, joined GutwiZdom this week to pay forward wiZdoms, and help our listeners off the court in business and in life. Catch Kenyon practicing his leadership skills with Team Trilogy on the court, Mondays at 8 pm ET on Fox Sports 1. Listening & Communication: Listening is the most important leadership skill! 50% of communication is listening, the other 50% is how your message is delivered. Don’t forget about your nonverbal communication! Be a team player: You have to play as a team and respect one another to be successful. A team full of individual talent that isn’t working together will only get you so far. Everyone on the team, including the leader, has to check their egos at the door. Stay positive when times are tough: If there’s still time, you still have a chance. If time has run out, there’s always tomorrow. It’s not over until it’s over and don’t be afraid to fail. You’re either winning or learning a valuable lesson. Surround yourself with good people: Have an entourage that will have your back and coach you through the tough decisions. Having a support system and a mentor is so important for personal and professional growth. Be prepared for things to not go as planned: As Mike Tyson said, “Everyone has a plan until they get punched in the mouth.” Always be ready to make a quick decision, think on your feet, and stay confident. What are some other leadership skills that can be transferred from sports? Let us know by leaving us a voicemail at 1-646-653-9278 or sending us a message here.